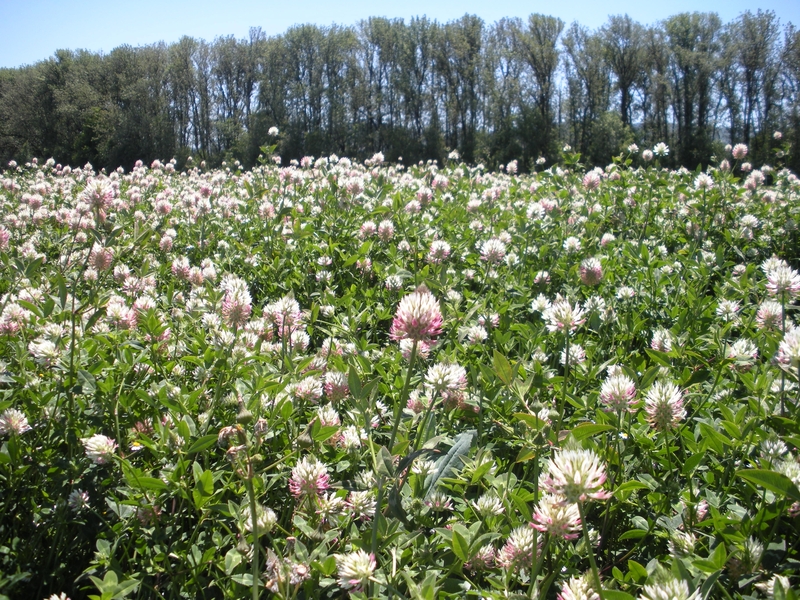 Herbaceous, highly productive, cool-season winter annual clover suitable for hay, grazing, seed production, soil improvement, and wildlife forage. Well-adapted to overseeding of perennial warm-season grasses. 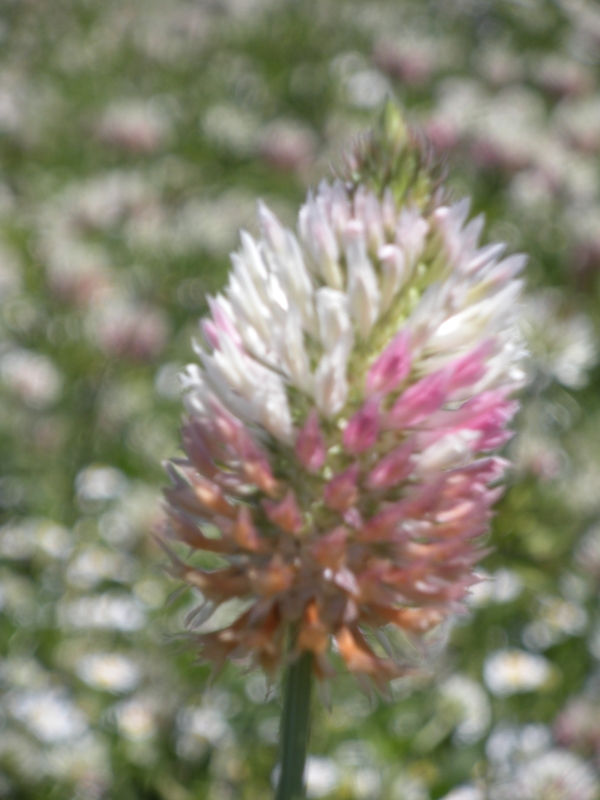 Produces forage later in the spring than crimson and sub clover. Upright growth habit, to 40-50 inches (100-130 cm) under favorable conditions. Inflorescence: Large conical flower head up to 2 inches (5 cm) long has white to pink flowers opening from bottom to top, browning when mature. Mostly upright stems grow to 3-4 feet (90-120 cm), are glabrous (not hairy), hollow, smooth, and often purple. 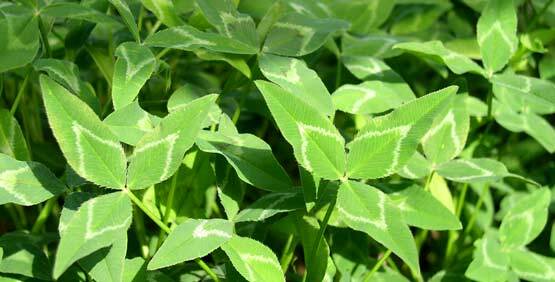 Palmately trifoliolate, arrow-shaped leaves have a characteristic large, white V mark. Stipules are white, long, narrow, and pointed, with prominent veins. Deep tap root can penetrate up to 4.5 feet (140 cm). 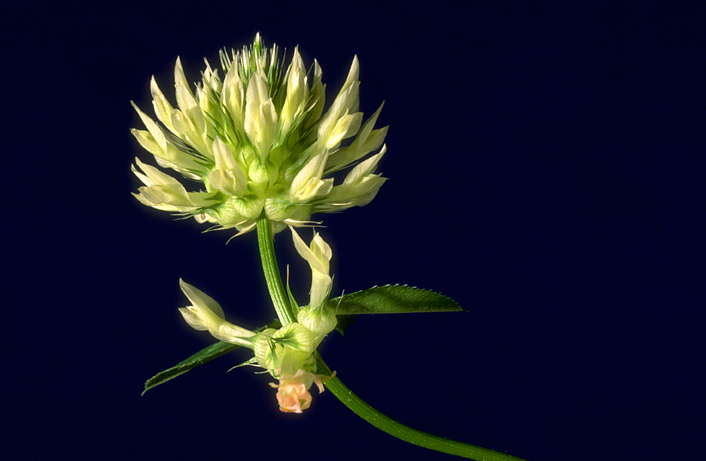 Seeds are about twice the size of white clover, with 400,000 per lb (880,000/kg). Nearly 70% are hardseeded, seed requires scarification for satisfactory germination. Mostly upright stems grow to 3-4 feet (90-120 cm). Annual. Planted during the autumn in the southeastern USA with annual ryegrass or other annual grass or interseeded into warm season grass pastures where winter and spring temperatures are sufficiently warm to allow growth during this period. Arrowleaf is later maturing than crimson clover, and continues to grow into early July. Select a cultivar that has been shown in local university trials to have improved resistance to virus complex, crown rot, and alfalfa weevils and aphids. ‘Blackhawk’ was released by Texas A&M in 2013. It matures earlier than ‘Apache’ (medium) and ‘Yuchi’ (late) cultivars. ‘Arrotas’ is a late-maturing, high yielding cultivar released by the Tasmania Institute of Agriculture. Grown throughout the mid-south and southeastern United States (USDA Plant Hardiness Zones 9a-8a). It requires 18-25 inches (450-650 mm) minimum precipitation or irrigation. Tolerates moderately acid to moderately alkaline soils (pH 5.6-8.4) that are well- to moderately well-drained. Not suited to sandy, droughty soils with low fertility. Will not survive poorly drained soils. Moderately sensitive to salinity (1.5-3 dS/m). *Cold temperature tolerance: USDA Plant Hardiness Zones - based on average annual extreme minimum temperature; 7a-9a as a winter annual. Heat Zone - based on Mean Max July Temperature: 92-96 °F. Latitude delimitations: 30-35 degrees N, 99 degrees West boundary. **Precipitation minimum requirements important for fall, winter, spring seasons, since planted as a winter annual in the southeast. Zone: 36-40 inches and greater. Rooting: tap, to 150 cm. 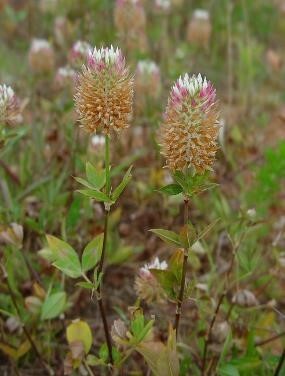 *** Soil pH tolerance: NRCS Range and Pasture Handbook, Chapter 3 classification for arrowleaf clover is moderately acid to moderately alkaline (5.6-8.4). † Soil drainage: NRCS Range and Pasture Handbook, Chapter 3 classification for Arrowleaf Clover is WD-PD. Soil drainage class abbreviations: 1=VPD, very poorly drained; 2=PD, poorly drained; 3=SPD, somewhat poorly drained; 4=MWD, moderately well drained, 5=WD, well drained; 6=SED, somewhat excessively drained; 7=ED, excessively drained. 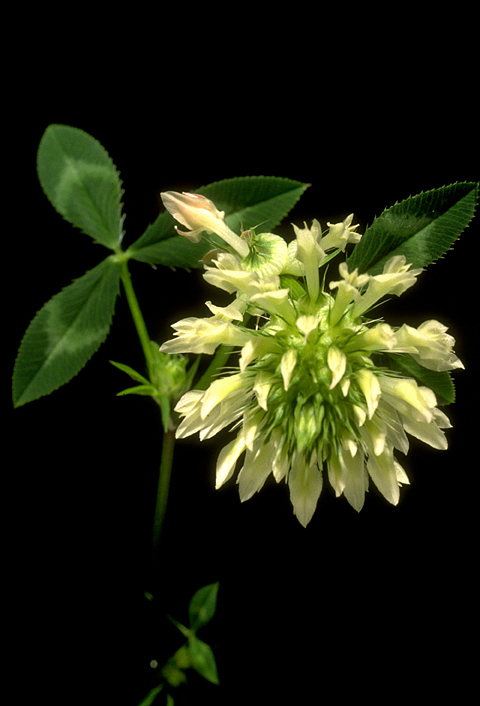 Percent relative yield for Arrowleaf Clover for the classes 1-7: 5, 20, 55, 100, 100, 55, 20, respectively. 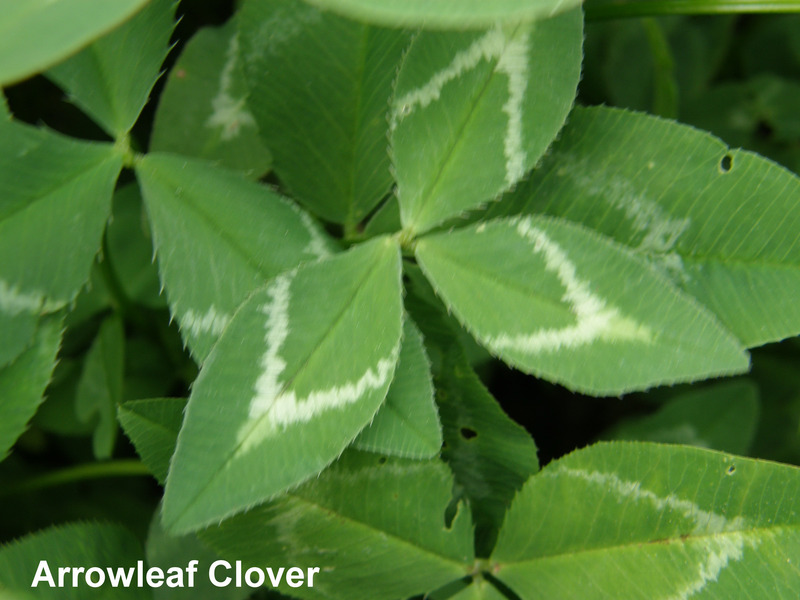 # Soil salinity tolerance: NRCS Range and Pasture Handbook, Chapter 3 classification for clovers (alsike, Berseem, white, red, strawberry) is moderately sensitive (1.5-3 DS/m). Arrowleaf is not listed. High quality forage; improves pasture quality when overseeded into warm-season (C4) grasses.